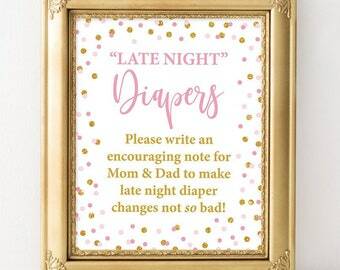 Print & frame (or hang) this fun Late Night Diapers game sign. 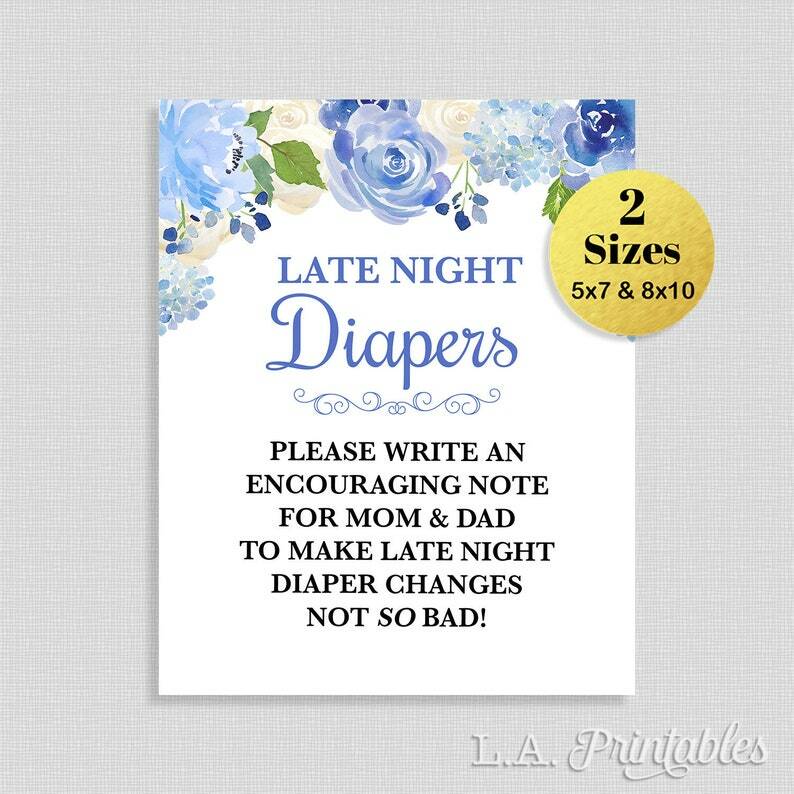 Have your guests sign and write a fun note on a diaper to help mommy and daddy get through those late night diaper changes. • We recommend printing on most items on white, 8.5 x 11 inch card stock and trimming to size.